After a three year wait from the release of Harry Potter and the Goblet of Fire, fans were clamouring for the fifth book in the series. 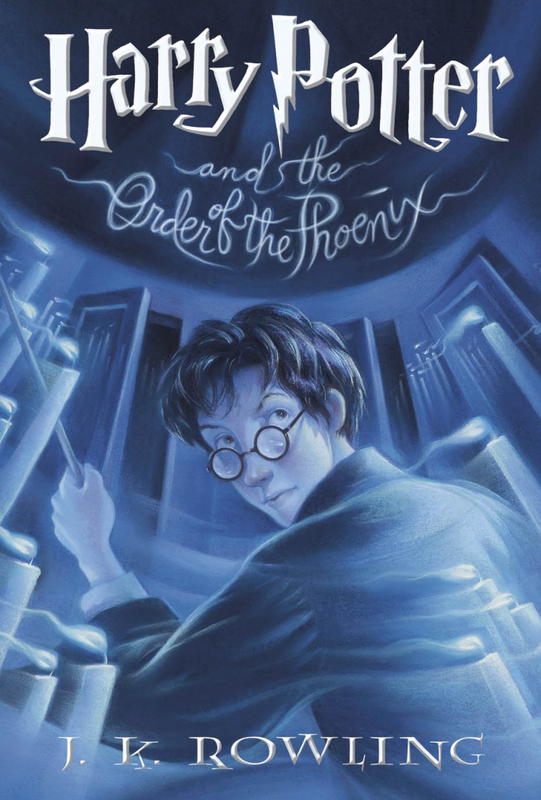 Harry Potter and the Order of the Phoenix marked a dark change ahead for the boy who lived who began encountering a wider understanding of his connection to Lord Voldemort. Harry Potter is still reeling from the Triwizard Tournament which marked the return of the Dark Lord and resulted in the death of a fellow student. Senior Undersecretary to the Minister for Magic Dolores Umbridge puts Hogwarts under the watchful eye of the Ministry of Magic as she becomes the new Defense Against the Dark Arts class. The young students are challenged by the complicated world of the wizarding government as well what the future (and past) may reveal about He-Who-Must-Be-Named. The book was published on June 21st, 2003 by Bloomsbury in the UK and Scholastic published it in the United States. In the first 24 hours, five million copies were sold. Phoenix would garner several awards for JK Rowling such as Oppenheim Toy Portfolio 2004 Gold Medal and American Library Association named it the Best Book for Young Adults in 2003.